The last open, international Benguela Upwelling Symposium in Cape Town was at the University of Cape Town in 1996. It was entitled Benguela Dynamics: impacts of variability on shelf-sea environments and their living resources. It followed two earlier symposia in 1986 (The Benguela and Comparable Ecosystems) and 1991 (Benguela Trophic Functioning). Selected papers from this symposium will be published in a special issue of the Journal of Marine Systems in 2017. 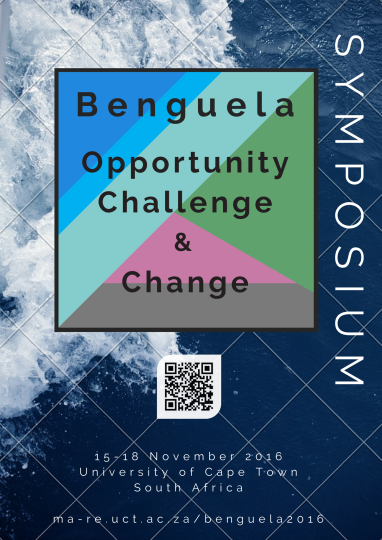 The broad goal of this international Benguela symposium (Benguela: Opportunity, Challenge and Change) is to provide an opportunity to share results of recent research in the Benguela ecosystem. In the 20 years since the 1996 symposium, there have been many successful research activities in the Benguela system, with associated conferences and meetings. Many of these events were linked to specific projects and programmes and were thus focused in their scope and participants. In addition, many results from international projects have been presented at conferences outside the region or are published across a large number of journals. This symposium thus aims to provide a platform for these results to be “brought home” to the region and showcased alongside those from local researchers. We invite participation at the symposium by researchers and students active in the region, from countries bordering the Benguela and from further afield. The scientific programme will focus on interdisciplinary, synthetic presentations, with no parallel sessions. 22 November: Paper submission extended to Friday 6 January 2017. 24 October: If you need wheelchair access contact us. 30 September: Sessions are close to being finalised. Exciting! 07 September: Some banquet and venue details ironed out! 15 August: A reminder about the Proceedings/Special Issue submission details. 18 July: Abstract review is well underway! Responses by 15 August.